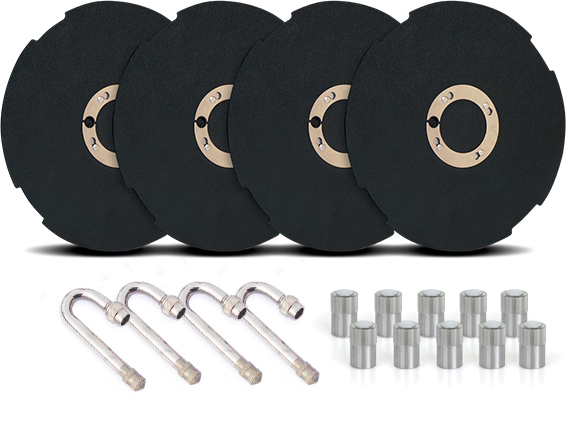 For even greater fuel savings, RealWheels has created the AeroPlus Twist & Lock Package, which combines our Aero Covers, Stainless Steel Air Valve Extensions and LED AirGuards at a reduced package price. *Tire Inflation Pressure—Every 10 psi of underinflation represents approximately 1% penalty in fuel economy. Estimates of 1.5% and 3% shown are for illustrative purposes and show an improvement in fuel economy by maintaining proper tire pressure versus driving on underinflated tires. **Fuel Savings Example based on running 130,000 miles per year at 6.50mpg, consuming 20,000 gallons of fuel at $3/gal. When using AeroPlus, the minimum average is 6.66mpg, the maximum average is 6.82mpg. ***Maintenance Savings Example based on a labor rate of $40 per hour and 10 to 20 minutes per pressure check. Maintenance dollars saved would be $6.60 to $13.20 per air pressure check. Pressure is checked twice a week. If more than two pressure checks per week are required, this amount would also increase.